Available in Left Handed for 2019! The B14 HMR rifle features our integrated mini-chassis molded into the stock to give the rifle repeatable bedding and accuracy. It also supports a fully free- floated barrel to achieve optimal precision. The Bergara Hunting and Match rifles are built to offer a rifle for both hunters and competition shooters that can perform incredibly in either situation. The stock features an adjustable cheekpiece and length of pull spacers. Built in Spain at our highly automated and efficient barrel factory, this rifle delivers a level of quality and performance that is unmatched in its price range. The world-renowned Bergara barrel on this long-range precision rifle is complemented by our super-smooth B-14 Action, which is a two-lug system with a sliding plate extractor and a coned bolt nose and breech to ensure smooth feeding and extraction of the cartridge. It’s also outfitted with a Bergara curved trigger we designed to guarantee a crisp, clean pull every time you fire the rifle. The trigger comes set at about three pounds. It has been factory drilled and tapped to fit Remington 700 style rings and bases. The (#6) Bergara 4140 CrMo steel barrel is finished in matte blue and is available in 20 inches in the .308, which weighs 9.15 lbs, 22 inches in 6.5 Creedmoor, which weighs 9.25 lbs, 24 inches in .22-250 Rem., which weighs 9.2 lbs and 26 inches in .300 Win Mag and 6mm Creedmoor which weigh 9.6 and 9.7 lbs respectively. The muzzle is threaded 5/8-24″ and includes a thread protector. All B-14 rifles are guaranteed to produce groups of 1.0 MOA or less at 100 yards with quality factory match grade ammunition. The world-renowned Bergara barrel on this long range precision rifle is complemented by our own super-smooth B-14 Action, which is a two- lug system with a sliding plate extractor and a coned bolt nose and breech to ensure a smooth feeding and extraction of the cartridge. The stock features an adjustable cheekpiece and length of pull spacers. QD flush cups are included in the stock to allow for easy attachment and detachment of slings. 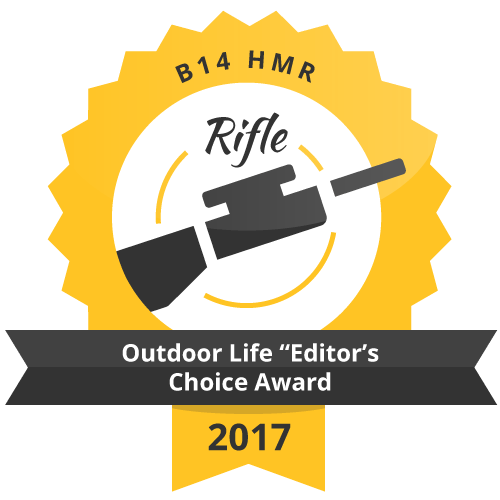 The B-14 HMR rifle features our integrated mini-chassis molded into the stock to give the rifle repeatable bedding and accuracy. It also supports a fully free-floated barrel to achieve optimal precision. The Bergara Hunting and Match rifles are built to offer a rifle for both hunters and competition shooters that can perform incredibly in either situation.